It may not look like much from the outside, but that’s kind of the point. Our 140KW mobile generator is built with stealth and power in mind. It’s LitePOWER 140KW quiet generator provides 1100 amps at 120 volts and yet only produces less than 50 decibels as close as 50 feet away. 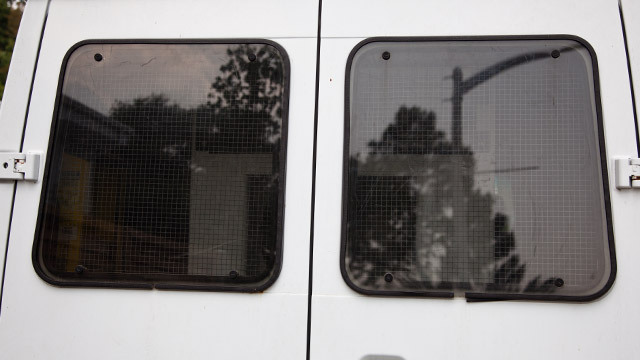 There are no outside markings or visual clues of what lies inside the 3500 Sprinter Van. It even operates with the doors closed. It’s stealth and power at its best. No, it’s not an escape hatch, but it does protect the engine and radiator. Like everything else on the van, it’s meant to stay out of site, even when opened. 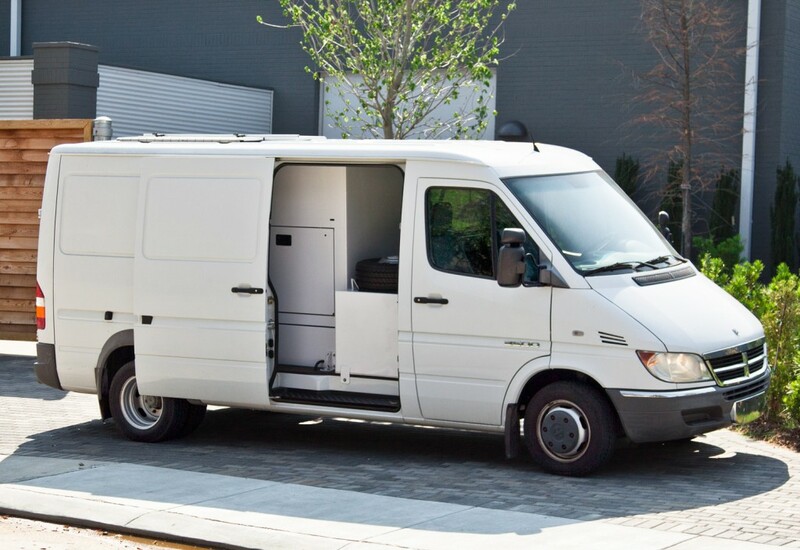 Why would an ordinary 3500 Sprinter Van have a bunch of cables coming out of its side? It wouldn’t, that’s why our van is outfitted to connect through the floor, out of sight. 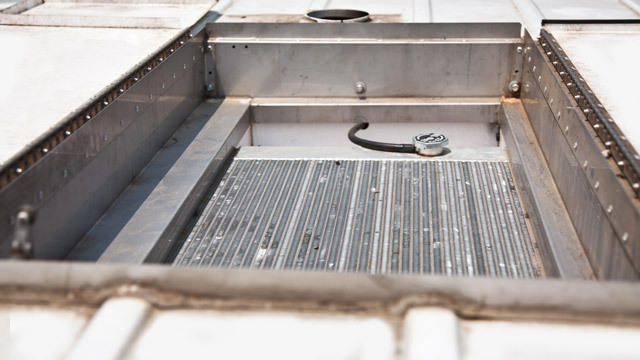 While the doors are closed, these windows are removable to provide ventilation for the LitePOWER generator. Cummins 6BTA5.9-G3 turbocharged, after-cooled, 207 bhp, 6 cylinder diesel. Meets EPA Mobile Off Highway, and California SCAQMD and CARB permitting requirements. Maximum output: 1100 Amps continuous, 1200 Amps standby @120 Volts. Woodward digital electronic controller with integrated actuator. No external linkage to maintain. Crystal accuracy for HMI lighting. Engine control and monitoring, AC monitoring, fault and pre-fault systems are provided by a microprocessor-based system. All readouts are digital and are listed below. Weather-proof glass cover. Lima/Marathon MagnaPLUS 125KW (1,041 amps @ 120V) three phase. 97KW (808 amps @ 120V) single phase @ class F 130 deg rating. 135KW (1,125 @ 120V) three phase, 100KW (833 amps @ 120V) single phase @ class H 150 deg rating. Marine rated rectifier with surge suppression. CSA listed. Lima/Marathon SE 350A with remote voltage adjustment. UL and CSA listed. 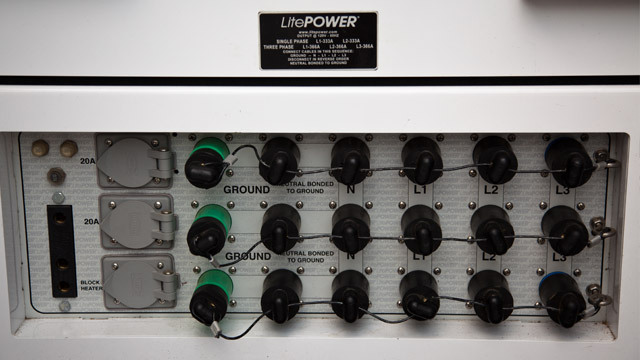 400 amp breaker protects equipment in either single or three phase. Weather-proof glass cover. UL and CSA listed. USA: 18 hole Cam-Lok - E1016 panel includes 3 male grounds, 3 female grounds, 3 neutral, 3 leg one, 3 leg two and 3 leg three. Two Edison 20A outlets with 20A breakers and one 100A Union connector with 100A breaker provided for convenience outlets. CANADA: Cam-Loc 1016 replaced with 400A Ball Nose Connectors. UL and CSA listed. Generator: L 84" W 36" H 62"
Generator with 150 gallon tank: L 84" W 73" H 74"
Generator, 150 gallon tank, trailer: L 154" W 90" H 87"
Less than 50 dB(A) @ 50 feet.